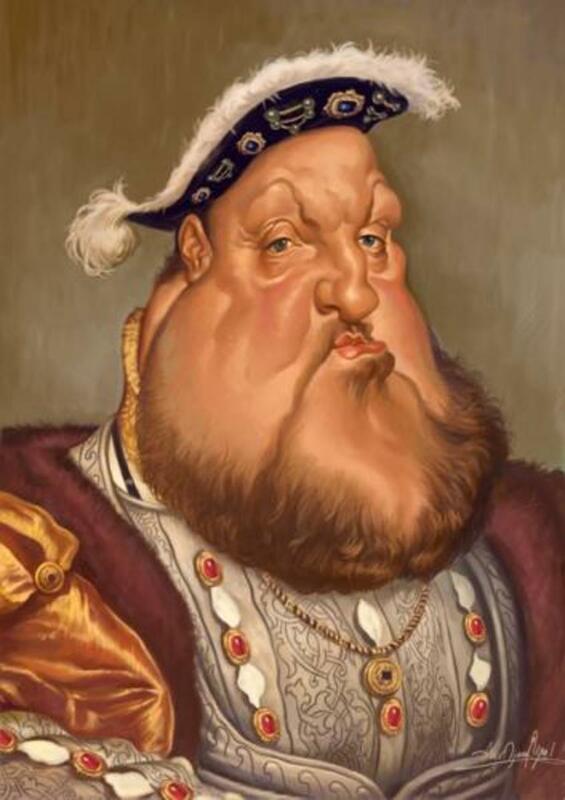 Born in 1543, Thomas Tresham came from a wealthy and well-connected Northamptonshire family that was staunchly Catholic and had prospered during the reign of Queen Mary I (1553-8). Thomas became head of the family in 1559 at the early age of 15 but continued with his studies, being admitted as a lawyer of the Middle Temple when only 17. The Elizabethan age was one in which people with talent and the right connections could become extremely wealthy and tended to spend their wealth on building magnificent houses, many of which can still be seen today. Thomas Tresham never had the wealth of people like William Cecil (the builder of Burghley House), but that did not stop him from going on a building spree of his own. Tresham’s main problem was his adherence to the Catholic faith at a time when this was becoming positively dangerous. During the early part of Elizabeth I’s reign this was no impediment, as is evidenced by Thomas Tresham being knighted by the Queen in 1575, but after the attempted invasion of England by King Philip of Spain in 1588, being a Catholic in England was tantamount to being a foreign agent. Practicing Catholics had to keep their heads down or risk a terrible punishment. Thomas Tresham found that his net wealth was severely depleted during his later years, mainly through having to pay fines for not attending Anglican church services. Much of the building work was therefore financed through borrowing money that he was never able to repay. He also spent a considerable amount of time in prison, been arrested as a political hostage at any time that the government suspected that the safety of the realm was under threat from foreign Catholics. Another problem for the Treshams, following the death of Queen Elizabeth in 1603, was that Francis, Thomas’s elder son and heir, became involved in the Gunpowder Plot to overthrow the government of King James I. It is known that the Plot failed because an anonymous message was sent to Lord Monteagle warning him not to attend the opening of Parliament because a ‘great blow’ could be expected. 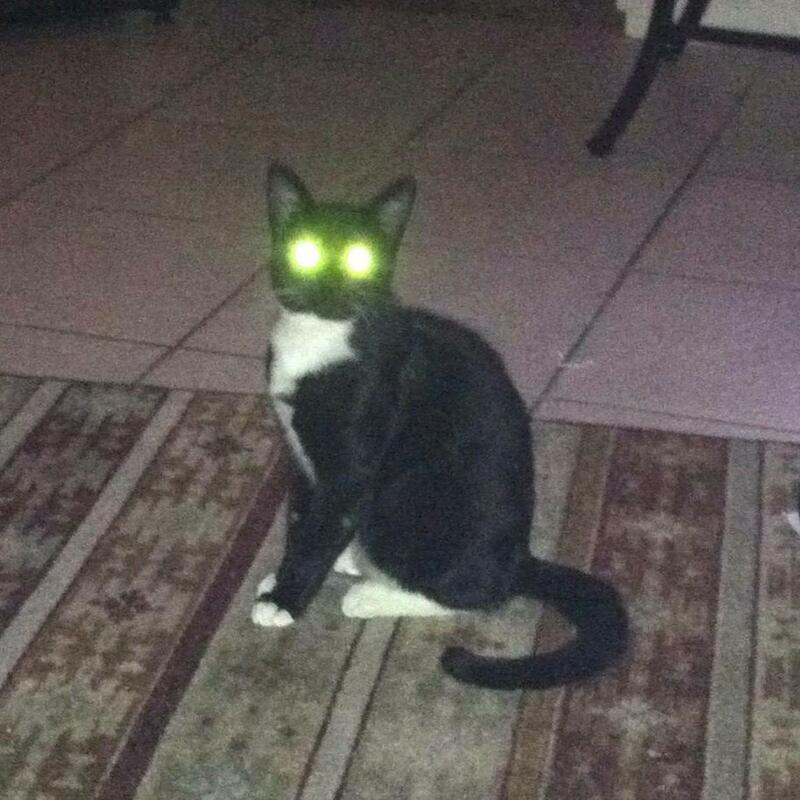 It is entirely possible that the warning was sent by Francis Tresham. Sir Thomas Tresham died in September 1605 and Francis Tresham was soon under arrest after the failure of the Gunpowder Plot in November. He died in December before coming to trial. 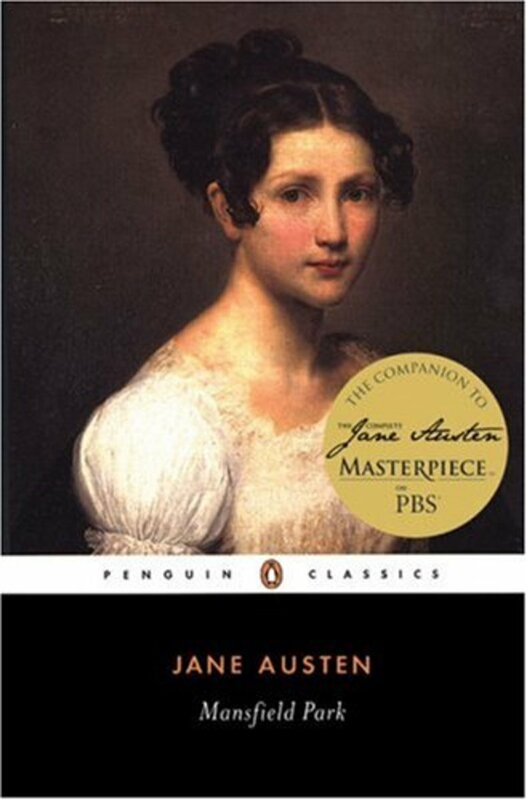 His younger brother Lewis inherited the estate but also the massive debts that came with it. The building ventures of Sir Thomas therefore came to a grinding halt at his death. Thomas Tresham’s first building venture was the Market House at Rothwell, which is the nearest town to Rushton, where he was lord of the manor. This was a gift to the town and is notable for the carved coats of arms of ninety local families. This was started in 1578 but not finished during Sir Thomas’s lifetime. Indeed, it had to wait until 1897 for the roof to be added! His second venture, however, was completely different. 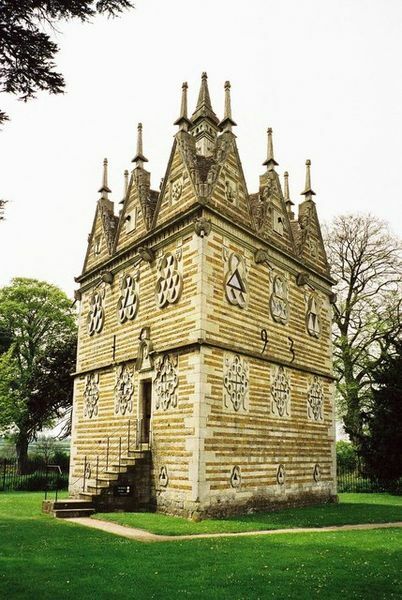 This was the Triangular Lodge on his Rushton Estate, built between 1593 and 1597. The building was used to house the man who looked after the rabbit warrens on the estate, but it has all the characteristics of a ‘folly’ in that its true purpose was devotional. It is a temple to the Trinity, with the focus on the number three – three sides, three floors, three gables on each side, etc, etc. 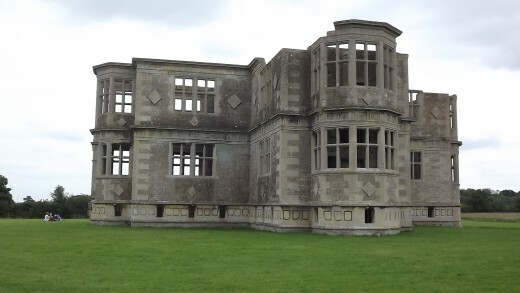 The Triangular Lodge was far from complete when Sir Thomas started work on Lyveden New Bield (which means ‘New Building’). He also did some work on his main residence, Rushton Hall, at the same time. 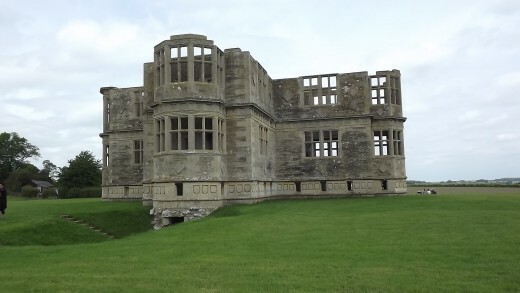 Lyveden is about nine miles to the east of Rushton and was the Treshams’ second estate. 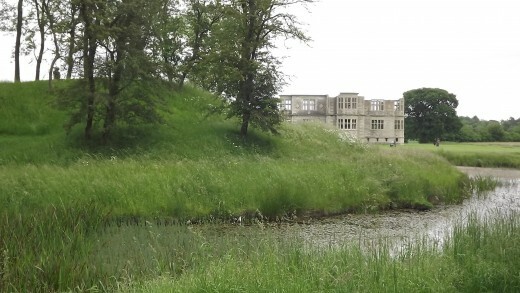 There was already a manor house here (Lyveden Old Bield, dating from the 14th century) but Sir Thomas had the idea of building a ‘garden lodge’ at the top of the hill behind the manor house. He would also create an artificial landscape of terraces and canals, all for the purpose of entertaining guests, playing the role of country gentleman and also indulging his fetish for religious symbolism based on numbers. The size of the building as it exists today, plus the apparent plan to make it even bigger, suggests that Sir Thomas had a great deal of entertaining in mind. There would have been plenty of room for many guests to be accommodated, plus the necessary servants, but it is doubtful that he intended to make the house his principal place of residence. Work started in 1594 but it must have been very frustrating for Sir Thomas that he was prevented from overseeing the construction in person by virtue of being held under house arrest or in prison for much of the time after this date. At the time of his death in 1605 the New Bield was a roofless three storey structure, which is just what visitors can see today. The work stopped when Sir Thomas died and never restarted. The quality of the materials and workmanship was such that the house looks almost as though the workmen have just downed tools for the weekend but will be back to carry on in a few days’ time. Despite the exposed site there has been very little damage due to storm or erosion, and efforts to remove stone for other building work have proved fruitless – it was too well built to be demolished. It is more than 400 years since Sir Thomas and his dream died, so what you can see today is a time capsule of Elizabethan house-building and landscape gardening. From the look of the New Bield today it would seem that all that is missing is the roof, but there is evidence to suggest that a further storey was planned before the roof would have been added. As mentioned above, Sir Thomas was obsessed by the number three at Rushton Triangular Lodge, which is a celebration of the Trinity (Father, Son and Holy Ghost). At Lyveden the numbers five and seven also played dominant roles. The symbolism of five is that Christ suffered five wounds on the cross, and seven has long been regarded as a ‘holy number’, as evidenced by its frequent use in the Book of Revelation. The ground plan of the New Bield is four arms with a central space, making five. Each arm ends in a five-sided bay, with each side measuring five feet. Five fives are twenty-five, which is the date of Christmas in December and the Annunciation in March. As mentioned above, it looks as though Sir Thomas may have planned to build three storeys (not counting the basement which was the domain of the servants). 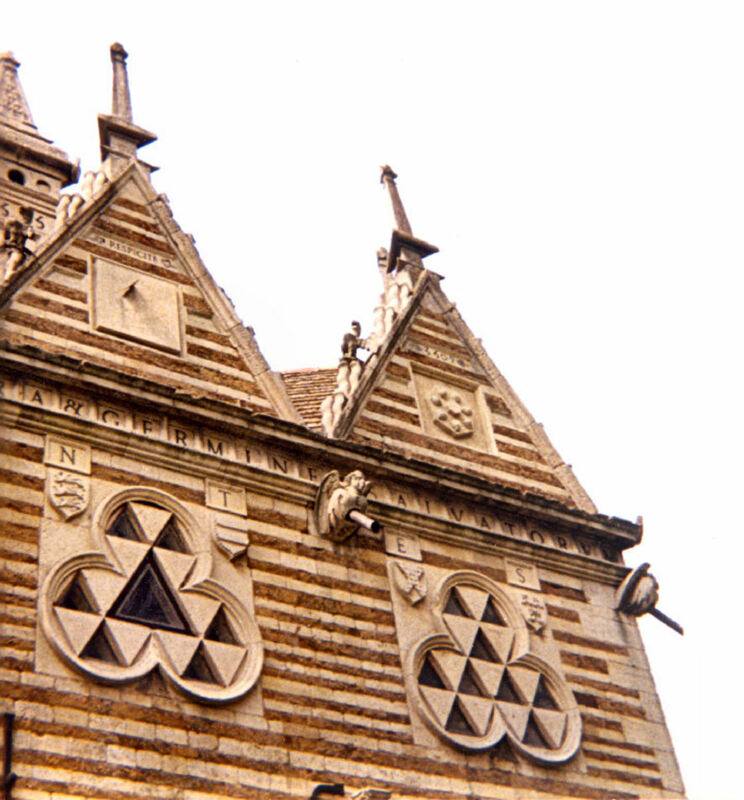 Above the windows are sets of three shields and there are diamond decorations in groups of three. The distance from one side of the building to the other is 243 feet – a multiple of three. The number seven is represented by the frieze between the ground and first floors, which displays roundels depicting the seven emblems of the Passion of Christ. The frieze above the first floor is no longer complete, but originally comprised a set of Bible texts in Latin. These were arranged so that the words IESUS and MARIA appeared each side of each bay window, accompanied by the Tresham emblem of a three-leaved clover. Visitors have to use the servants’ entrance which is down a few steps to the basement level. That is because the interior of the building is an open shell with no floors, although there are many holes in the stonework to show where joists were intended to be fixed. Guests would have used an entrance at the ground floor level on the opposite side to the servants’ entrance. This ‘front door’ would have been reached by a set of steps leading via a small porch to a room in which a niche – still visible – would have contained a statue of the Virgin Mary. The basement shows evidence of what the building was intended to be used for, namely the accommodation and entertainment of guests. You can see where the large bake ovens and the copper for heating water would have been. You can also see that Sir Thomas wanted to preserve the external symmetry of the building by incorporating all the rainwater pipes and flues from the fireplaces within the walls. This would have helped to allow uninterrupted views to be had from the planned rooftop walk that guests would have been able to enjoy after their evening meal on fine summer evenings. As you look up from the basement you can see signs of how the upper floors would have been arranged. For example, the Great Chamber would have been on the first floor, as is apparent from the intricate stonework decorations at this level. The grounds of Lyveden New Bield are just as remarkable as the building itself. Sir Thomas employed a large force of gardeners and labourers to create a totally artificial environment close to the house that involved banks, ditches, spiral mounts and moats. His plan was to emulate the great gardens of European mansions by creating one of his own on top of a hill in Northamptonshire. Given that there are no natural water courses up here – no streams to be dammed to form a lake – the only recourse was to dig his moats to a depth of about three or four feet, line them with clay, then wait for rain to fall on the banks and drain into the prepared ditches. 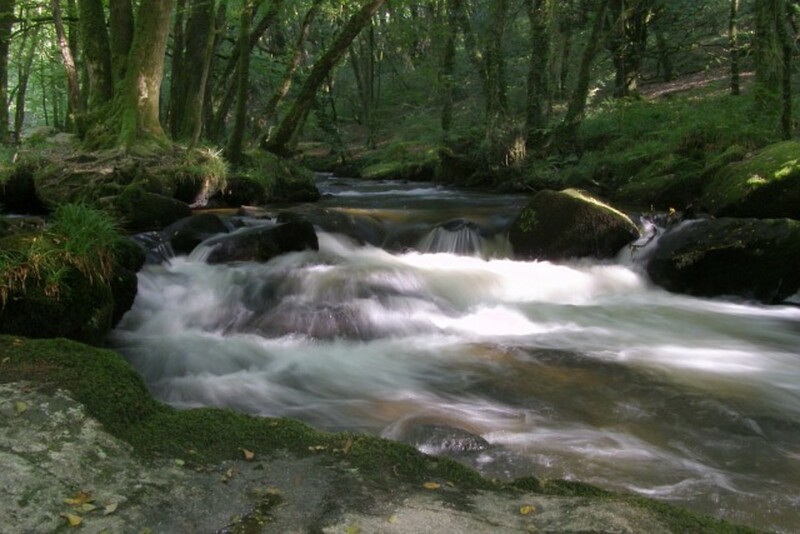 The plan clearly worked, because the water courses are still there to this day. The moats are stocked with fish – as they are now – and guests could be rowed in a boat as they tried to see them. There are two spiral mounts in the grounds that were modelled on similar mounts built by other Elizabethan landowners. The idea was that guests could take a leisurely stroll up the winding path and enjoy the view from the summit, much as they could do from the rooftop walk mentioned above. As with the house, the garden project was never completed. Sir Thomas had originally planned a four-sided moat with the central area being planted as an orchard. There would also have been four viewing mounts rather than two. As it stands, the moat is three-sided and two of the mounts are much smaller than the completed ones with their spiral walkways. There is, however, an orchard on the side of the moat facing the Old Bield. 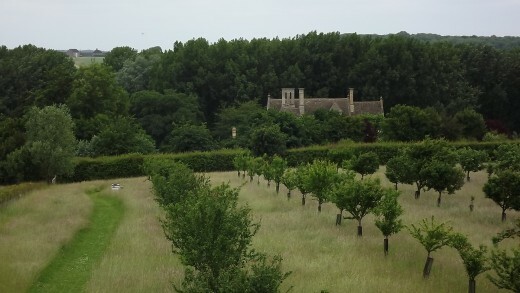 Efforts have been made in recent years to replant this orchard with varieties that the Treshams would have known. This has been done by grafting specimens from the National Collection of fruit trees on to vigorous rootstocks. 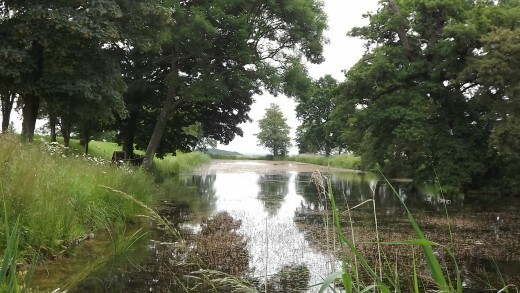 A very pleasant time can be spent at Lyveden New Bield, which is preserved and managed by the National Trust. The site has survived so well after 400 years that is not difficult to imagine how the dream of Sir Thomas Tresham could have been fulfilled. 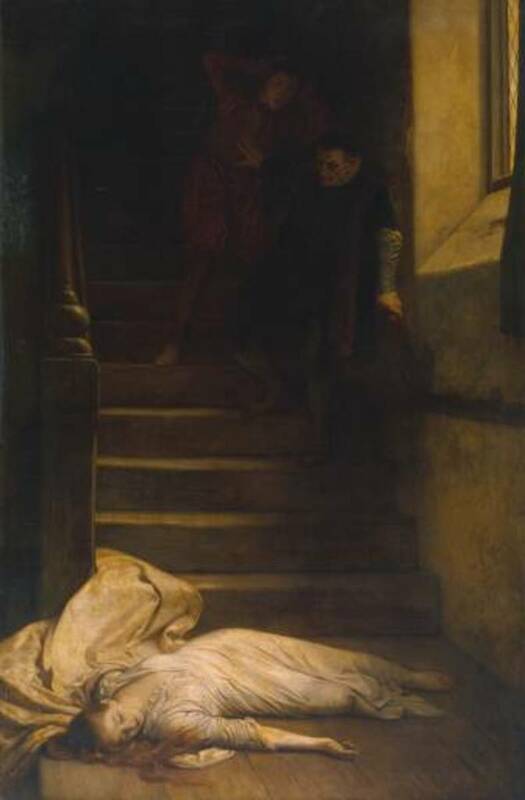 Elizabethan Mysteries - Was Amy Robsart Pushed Or Did She Fall?